Paramount Roofing, Inc. "Work with proven professionals"
Schedule Your Free Roof Estimate Today! Paramount Roofing specializes in small and large repairs for a variety of roof types and materials. Our roofing professionals will carefully inspect the current condition of your roof to assess the problem and come up with the appropriate solution, taking care not to cause any more damage during installation. 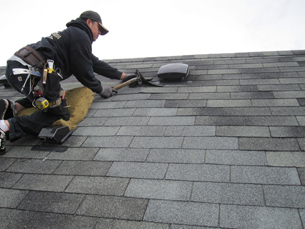 Our goal is to repair your roof back to like-new condition. A roof is only as good as the person installing it. That's why the owner comes out and supervises every project. Our professional roofers have worked together for years, most with 20+ years of experience in the industry. And our one-crew team translates into low-overhead costs-savings that pass directly to you, the customer. What type of repair work do you need? 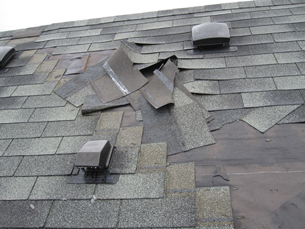 Unsure what type of roof repair work you need? We can help. Contact one of the professional roofing contractors at Paramount Roofing for a complimentary consultation - call 1-800-609-0332 today or request a free consultation and roof estimate. :: Free Estimate :: Contact us today for all your roof needs and receive a free roofing estimate. Paramount offers an extended Workmanship Warranty. Roofing the Puget Sound Area of Washington State for over 20 Years including Kent, Auburn and Federal Way.